If you liked The Baron in the Trees you might like these books. In 1767, when he was twelve years old, a rebellious Italian nobleman, Cosimo Piovasco di Rondo, reacted against his father's authoritarianism and the injustice of being forced to eat macabre dishes-beheaded snails among them-prepared by his diabolical sister Battista. He climbed a tree, as boys that age are wont to do. Unlike other boys, Cosimo never came down. 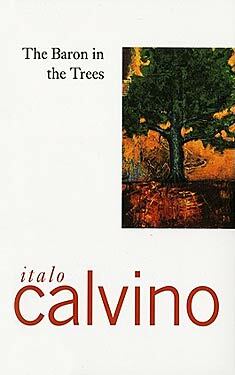 The Baron in the Trees is the wonderfully witty novel of Cosimo's unique arboreal existence. From the trees, Cosimo explained, he could see the earth more clearly. Free from the humdrum routine of an earthbound existence, the Baron had fantastic adventures with pirates, women and spies, and still had time to read, study, and ponder the deeper issues of the period. He corresponded with Diderot and Rousseau, become a military strategist, and outstared Napoleon when the Emperor paid him a visit. Dispensing truth and justice from wherever he might be, the Baron was friend to fruit thieves and noblemen alike. he converted the most feared bandit in the area into a dedicated bookworm, whose passion for literature led to his professional downfall. Women were quite willing to go out on a limb for Cosimo. The most daring of all was Viola, the exotic blonde whose love affair with Cosimo is one of the most intense and extraordinary in fiction.